Heading back to the mid-1950s, at a bar full of American soldiers drinking all around, a twelve year-old teenager was imitating Elvis Presley’s performance on stage. When the show came to an end, the boy took a bow while the soldiers were cheering and their applauses couldn’t be louder. This period was the first few years of the stationing of U.S. military in Taiwan. On June 25th, 1950, the Korean War broke out, and president Truman stated that the U.S. Seventh Fleet would help defend Taiwan to prevent any possible attack. On Jan 1st , 1950, United States Pacific Command (美國太平洋司令部) set up United States Taiwan Defense Command (美軍協防司令部) in Taipei, bringing nearly 10,000 American soldiers and their families to Taiwan. These soldiers had not only contributed a lot to Taiwan’s national defense, they also brought American cultures in, including rock music and social dance, which were highly popular in the States then. The “US Military Clubs” built at some Taiwan cities became the root of American rock music in Taiwan. Besides, AFN (American Forces Network, which transformed to ICRT Network in 1979), the radio network that came along with the American Forces, had also played an important role in transmitting rock music culture. It was remarkable that there had already been western pop music scenes in local Taiwan. Ping Shin-Tao (平鑫濤), the founder of Crown Magazine (皇冠雜誌), started to host a 30-minute western pop music program on Air Force Network every Saturday since 1958. It was quite popular at that time, and the Mandarin phrase of “Pop Music (熱門音樂)” he created is still used nowadays. Since he was able to gain music information directly from the U.S., he had become one of the key men who made huge influences on pop music development in Taiwan. These people and music scenes that we mentioned all had the ability to influence the taste of Taiwanese audience, and they were also the key points for the development of rock music culture in Taiwan. In the meantime, there were two young men, David Tao Sr. (陶大偉) and Johnny King (金祖齡), who started a band called “Lei-Mong (雷蒙樂團)”, becoming the pioneer for numerous 70's Taiwanese rock music performers. The bands which were able to cover western pop songs in American Force Clubs, night clubs and Anglo-American cuisine restaurants had all become the carriers of pop music and rock music. In general, The 60s were the incubation period for the earliest rock music in Taiwan. "There Was a Boy", a song recorded by Johnny King in 2000. He had been famous for organ playing skills and soulful vocal style. In the early 1970s, many youngsters gained information about rock music from extremely limited foreign sources and music publications, such as the news and reviews of pop artists/bands, classic albums listening guides, and the trends of different music genres and styles. Some of these rock youths who had access to the music information from the UK and US would start practicing music instruments and forming bands. When they felt their skills had reached the level to perform, they would start seeking opportunities to perform in western restaurants. Most bands covered well-known English songs, and few tried to write their own. The latter ones include bands like Lei-Mong, the Sunshine (陽光合唱團), Thunderbirds (雷鳥), Electric Stars (電星) and Goldmen Four (四金人合唱團). Since these young musicians mostly listened to and imitated the songs and music styles on American pop music charts, therefore, those genres that were still popular on charts in the 70s such as hard rock and folk rock became the major music styles. Later the rampant gramophone records piracies in Taiwan had directly introduced various different music styles to Taiwanese audiences. 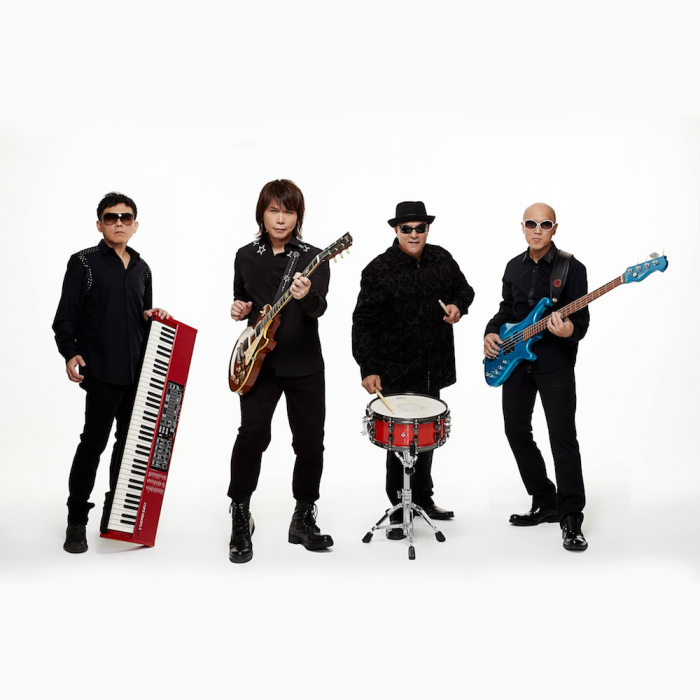 It not only influenced the genres that young Taiwanese’s chosen when they wanted to form a band for decades, it also influenced the creative mindset of later bands. The youngsters recognized Billboard and Cashbox as the main pop information source. Thus, in the mid-70s, under the influence of these media, the rising campus folk songs and disco had become a favorable music genre and social dance style respectively for the young student generation . In this period, Simon Hsueh and the Starry Eyes (薛岳與幻眼合唱團), The Youth (青年合唱團), and few bands were trying to find a way to combine the styles of pop rock and Taiwanese pop music. However, the development of the whole Taiwanese rock music only had further change after the end of the martial law period. Simon Hsueh was one of the most recognized singers who combined pop and rock music styles. The song "If There's Still a Tomorrow" was recorded before he deceased of liver cancer. In 1986, Crystal Records was founded and the martial law period ended a year later in 1987. This was also the year when Crystal Records first introduced “New Music”, a term used to describe the non-mainstream music which was in its ascendant at that moment, to Taiwan. It also brought in the concept of underground bands. In August of the same year, Crystal Records held the first “Taipei New Music Festival” to pass on the rock music information from the UK and US. Through the music scenes of the festival, the label created a stage for the earliest underground singers and bands, such as Double X, Groupie (骨肉皮), Bone n’ Teeth, LTK Commune (濁水溪公社), Sissey Chao (趙一豪), and Wu Bai (吳俊霖 a.k.a. 伍佰), allowing these performers to keep making a living through performing in pubs and bars. From 1987 to 1992, pubs and live houses had contributed a lot to the cultivation of band scenes. In 1992, Rock singer Wu Bai and his band China Blue left Crystal Records to join the Taiwan subsidiary of Japanese company Pony Canyon (波麗佳音), and then officially released their debut album It’s Good to Fall in Love (愛上別人是快樂的事). This record has since made him become one of the most important rock stars in Taiwan. 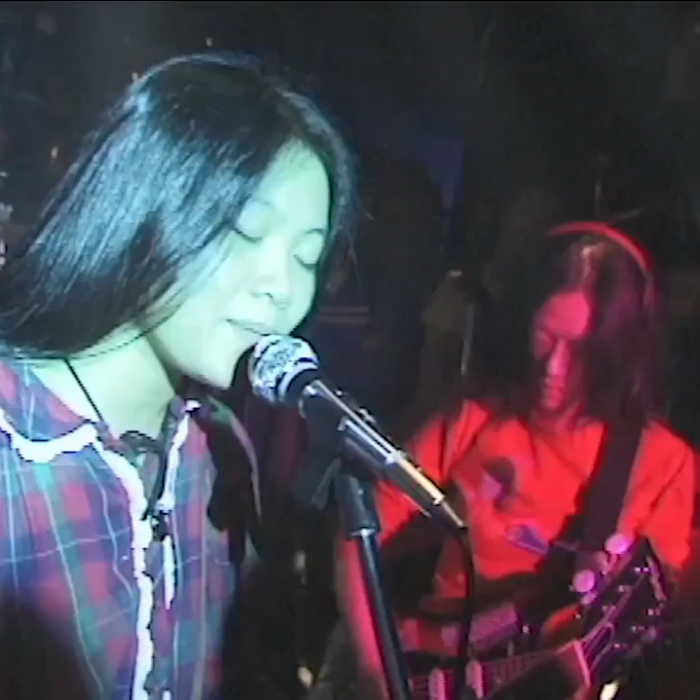 From 1992 to 1994, Wu Bai and China Blue performed in several pubs in Taipei, leading a new live performing culture. In 1987, record label MWIC (Mandala Works International Communications, 真言社) was founded. The artists under the label included Lim Giong (林強), Wu Bai, Pigheadskin (aka Jutoupi, 豬頭皮), Will Lin (林暐哲), Chang Chen-Yue (張震嶽), and Luantan Ascent (亂彈阿翔). When it came to the dissolution of the company, the singers were nearly all transferred to Magic Stone Records. As an indie record label invested by major label, Magic Stone had set a rather great record by promoting its signed artists and bands through a series of albums. In 1998, a small record label called Haine Records (恨流行) changed its name to “Taiwan Colors Music (台灣角頭音樂)”. It released a compilation called Taiwan Independent Compilation 1999 (ㄞ國歌曲) that included the original songs of some rising underground bands like The Chairman (董事長), Mayday (五月天), Quarterback (四分衛), and The Clippers (夾子), creating a new phase for the publishing of indie record labels. In 1999, Mayday was signed to Rock Records (滾石) and became the most popular Taiwanese pop rock band of young ages. Thus, the media called the phenomenon of bands rising “The band era has come”. Taiwan Independent Compilation was the Taiwan Colors Music's first release. More than half of the artists and bands included here were just starting their careers then but later became very significant in the Taiwanese rock history. In the late 90s, the globalization of the music industry had a great impact on Taiwanese labels. Multinational record labels started to acquire local labels. The only local large-scale labels left were Rock Records and its subsidiary Magic Stone. This was also the period when original rock music was mostly played in the form of a band, or also known as the band era, and indie music started to move forward to the next stage. At the ceremony of Golden Melody Awards in 2000, Luantan Ascent raised his arms and shouted, “The band era has come!” officially stating the fact that the era of rock music band had finally existed in mainstream music market. The iconic and pioneering musician of this era was Wu Bai, who had led a brand new “New Hokkien Songs Movement (新台語歌運動)” through his own pop rock music style. Under the influence of the movement, the number of original Hokkien rock songs had gradually increased. It also opened up a new path for the later underground bands that were trying to get signed by major labels. From 2000 to 2006, the number of underground bands had gradually increased, and major labels were willing to offer record deals to rock bands. Bands like Quarterback (四分衛), TOLAKU (脫拉庫), and The Chairman (董事長樂團) successfully got the attention of mainstream audience in this period and thus made their breakthrough. In this period, indie bands started to replace underground music scenes and the phrase “underground band”. Indie bands had also become the general name of non-mainstream rock music. "Phone Call from You", released in 1999 by the Tolaku band and pop singer Pauline Lan (藍心湄), was a hugely successful pop rock single. Being restrained by related government laws and regulations, many bars and live houses all around Taiwan had difficulties running. What’s worse, the impact of illegal online music downloads and the unfavorable development of many bands made the bar business decline. Music festivals started to replace bars and have become the music events young people attended most frequently. Thus, lots of indie bands need to attend music festival events to seek more performance opportunities as well. In terms of music genre, pop rock, brit-pop, dreampop, post-rock, and folk rock are still the main genres that bands are playing now. 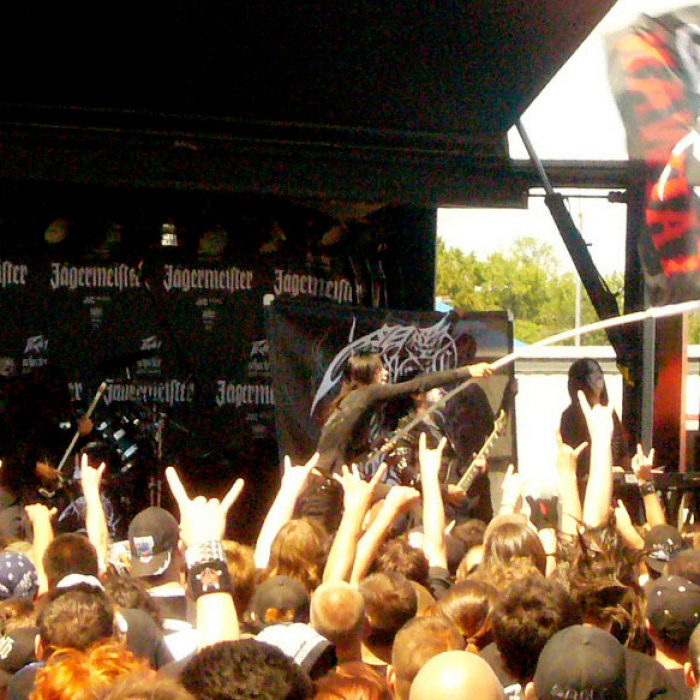 As for heavy metal, bands mainly play black metal, death metal, and folk metal. 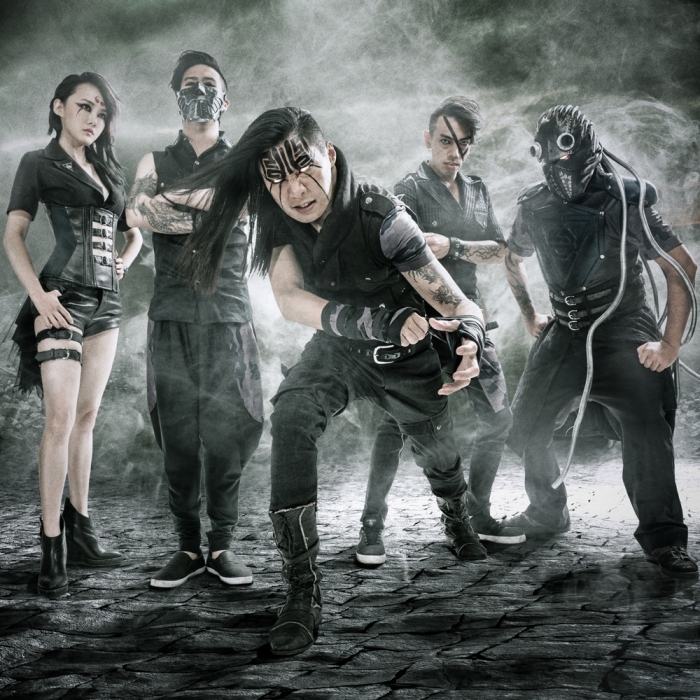 As the local culture develops, more and more rock bands are willing to add elements related to Taiwanese local culture into their songs, and one of the most significant examples is Seediq Bale (賽德克巴萊), the album of ChthoniC (閃靈). The album fully combined the historic stories of indigenous peoples in Taiwan with metal music style. In addition, more and more guitarists have found a way to combine blues scales with traditional songs with minor keys, allowing Taiwanese rock music to have more local characteristics. As digital equipment popularized, the cost of recording has decreased and the technical threshold has become lower. A lot of new bands had also tried to produce their albums through home recording, and the most famous case is Goodbye the Kingdom of You and I (前王子), the album released by the band 1976 in 2014. Besides the traditional love songs and the youth praising rock songs, many new bands are also searching for new themes for their songs. In 2016, a group of young people formed a band called No Party for Cao Dong (草東沒有派對) and independently released an album called The Servile (醜奴兒). They successfully caught the students’ attention through campus tour. In 2017, Golden Melody Awards presented two major awards -- the Best Musical Group and Song of the Year to No Party for Cao Dong. The winning results surprised the mainstream media and brought people’s attention back to the band sound again. No Party for Cao Dong has been famous for their breathtaking live performance. They even had numerous sold-out concerts before the release of their debut album. According to the statistic of 2017 Golden Melody Awards, it has received more than 10,000 applications ever since the eligibility of digital releases was approved. The result shows that in spite of the impact of Internet, the creations of Taiwanese rock music are still flourishing. In all, when it comes to dealing with new social issues and thoughts from different generations, traditional rock bands tend to keep on releasing a certain amount of new songs; new bands on the contrary, will try to add new styles into their music, intending to open up new international market, such as Russia, Thailand and Singapore. These international opportunities allow Taiwanese rock music to be heard by more people. During the Wild Lily Student Movement (野百合學運) in 1990, the lead vocalist of Blacklist studio Will Lin (林暐哲) wrote 2 songs overnight to support the students who were protesting at the Chiang Kai-Shek Memorial Hall (中正紀念堂). Ten of his classmates helped record the tracks, and these cassettes were later brought to the protest scene and passed on to the crowd. The single Raging Love actually contains 2 songs, with “We Will Wait No More (我們不再等)” on side A and “Thanks to the Old Thief (感謝老賊)” on side B. 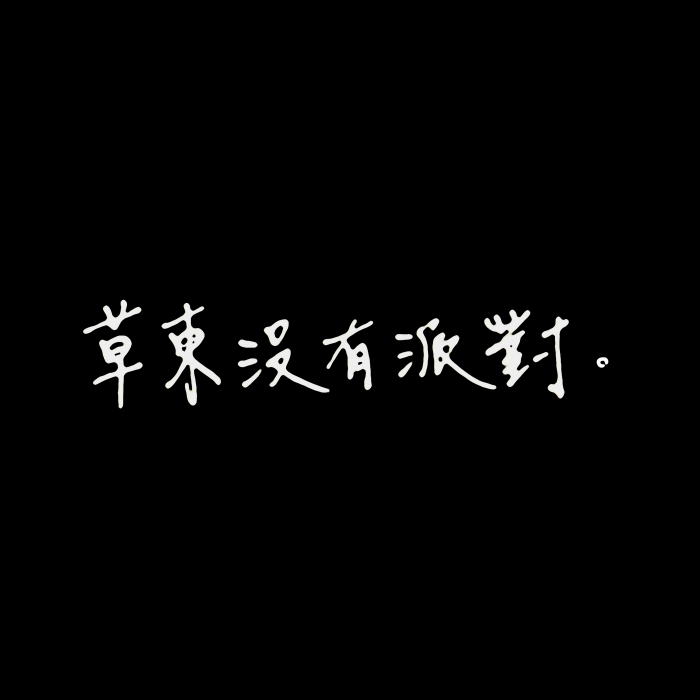 This single had never been officially distributed, yet their related album Song of Madness (抓狂歌) had influenced many rock bands of the generation to fight against the political system. Thus, their album and songs had become the most important political protest symbol of the generation. In 2000, at the countdown concert in front of the Office of the President, LTK Commune was performing heart and soul on stage. 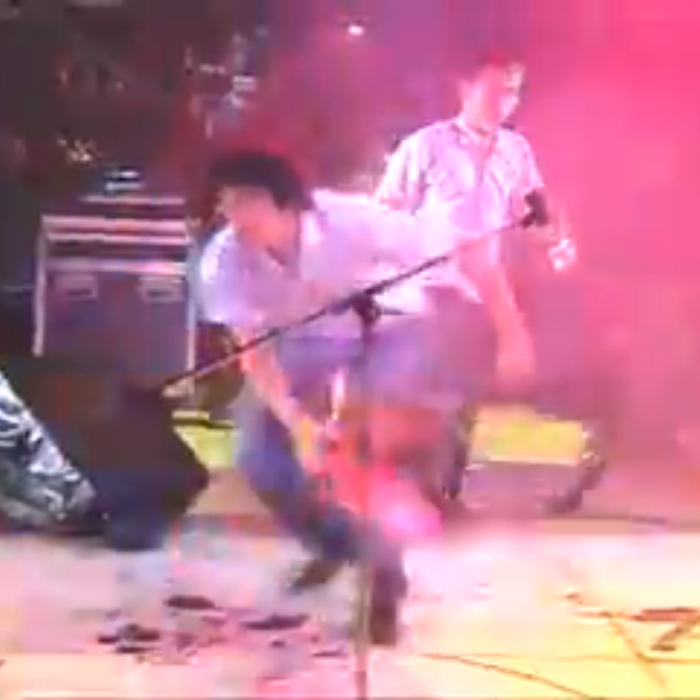 While the band was performing their final song “Cartoon Gun (卡通手槍)” , guitarist Tsai Hai-En (蔡海恩, aka 左派) suddenly grabbed a baseball bat and used it to smash his guitar. Other members of the band took turn smashed the guitar as well, scaring the audience on scene. However, the situation had gone out of hand when Tsai started throwing away guitar debris, and accidentally hurting a little girl, making it one of the most notable guitar smashing incidents in Taiwan. In 1998, the music of Lady Bug made it onto the independent chart of CMJ. Thus, the band was invited by the magazine to start a North American tour. Lady Bug was seen as the first Taiwanese rock band to be publicized by American independent music magazine. The band is the first all-female rock band in Taiwan, so it was also recognized as the pioneer of opening up international market in the 90s. The band’s touring experience was later recorded in the publication called On The Road With Lady Bug (瓢蟲搖滾漫游─地圖上的聲音). In early 2007, ChthoniC attended MIDEM, and got invited by Ozzy Osbourne to join Ozzfest’s 22-show North American tour with bands like Lamb of God, Hatebreed, Lordi, etc. Meanwhile, the band also started their “Unlimited Tour” in North America, playing 77 shows in total, including one headlining concert. The tour had caught the attention of American mainstream media, and was massively reported by American Broadcasting Company (美國廣播公司), New York Times (紐約時報), Los Angeles Times (洛杉磯時報), Washington Post (華盛頓郵報), etc. 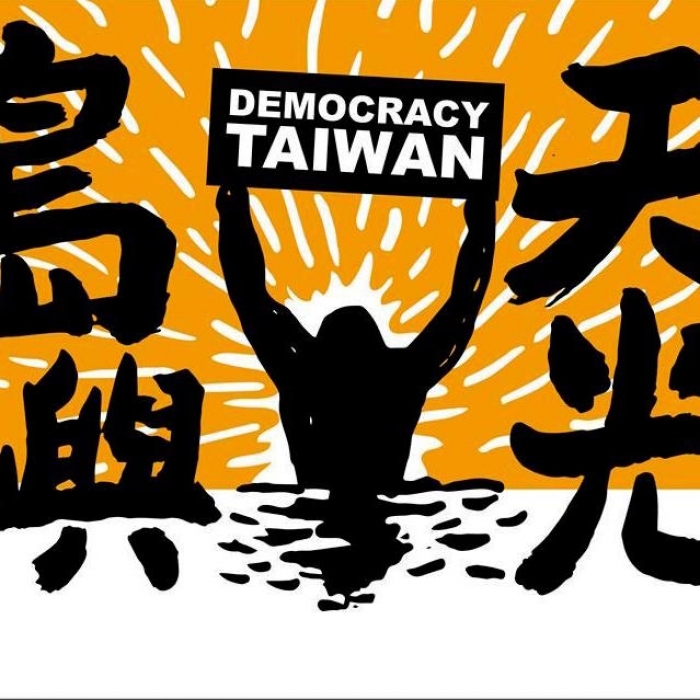 On March 18th, 2014, Taiwanese students and numerous civic groups jointly occupied the parliament and started the Sunflower Movement (太陽花學運), a student demonstration with the aim to protesting the approval of the controversial trade deal Cross Strait Service Trade Agreement(海峽兩岸服務貿易協議)for it may bring a huge impact on Taiwanese society and economy. The student movement lasted for 22 days, taking 500,000 people to the streets to protest. To show support to the students, punk band Fire Ex. wrote and recorded “Island’s Sunrise (島嶼天光)” overnight, which in the end becoming an anthem of student demonstration for new generation. Originally known as Wu Jun Lin, Wu Bai is one of the most famous rock stars in Taiwan and also the first rock singer who made breakthrough from singing in bars. The early styles of Wu Bai contained elements of hard rock and Hokkien tunes. In 1992, Wu Bai started to lead the band China Blue. From their debut album Loving Someone Is A Blissful Thing (愛上別人是快樂的事) to Wanderer’s Love Song (浪人情歌) and The End of Love (愛情的盡頭), Wu Bai & China Blue presented themselves as the spokesmen of blue collars and sang out the feelings of this particular social class. In their later album such as Lonely Tree, Lonely Bird (樹枝孤鳥), you could tell that they were trying to arrange more electronic sound effects and mid-tempo beats and tunes. Wu Bai is certainly the most symbolic superstar of Taiwan of the last 20 years. 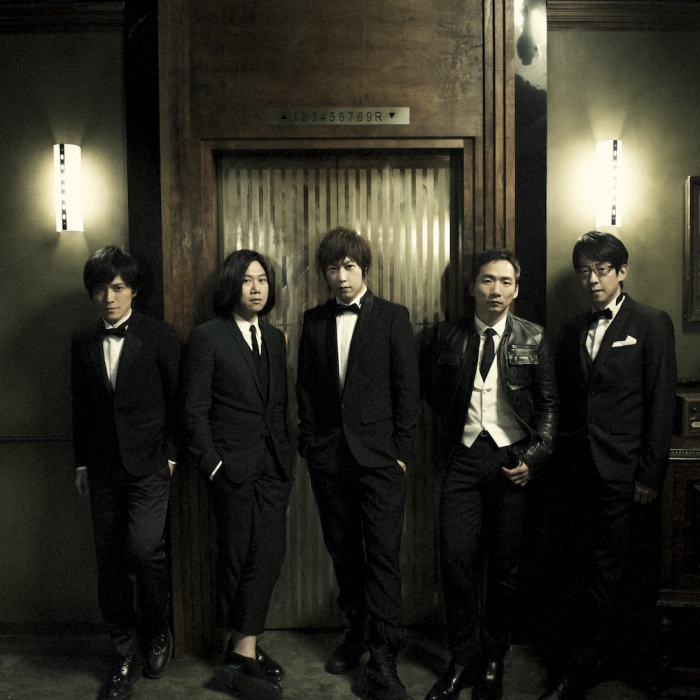 Formed in Taipei, Mayday is a five-member band consists of a group of then high school classmates. The band made their debut in 1999, and has released 9 studio albums so far. Their music styles are greatly influenced by The Beatles. Their early performances included the one at Formoz Festival (野台開唱), and they had since working very hard and aggressively to get a record deal. The band’s lyrics are mostly about youth, staying positive and motivated and the struggling process of fresh graduates. 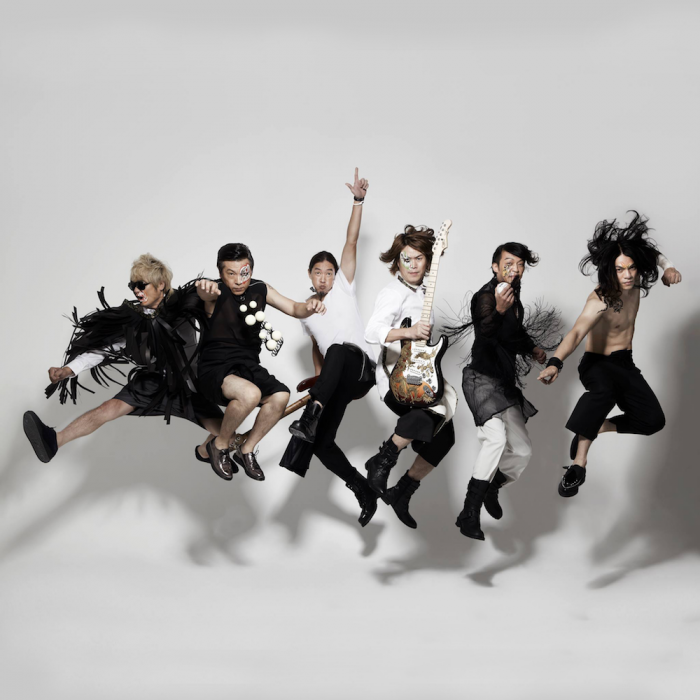 The band’s debut album Mayday’s First Album (五月天第一張創作專輯) and sophomore album Viva Love (愛情萬歲) had both received much love from Taiwanese and South East Asian Youngsters immediately, for they think the band’s lyrics speak the mind of this generation. 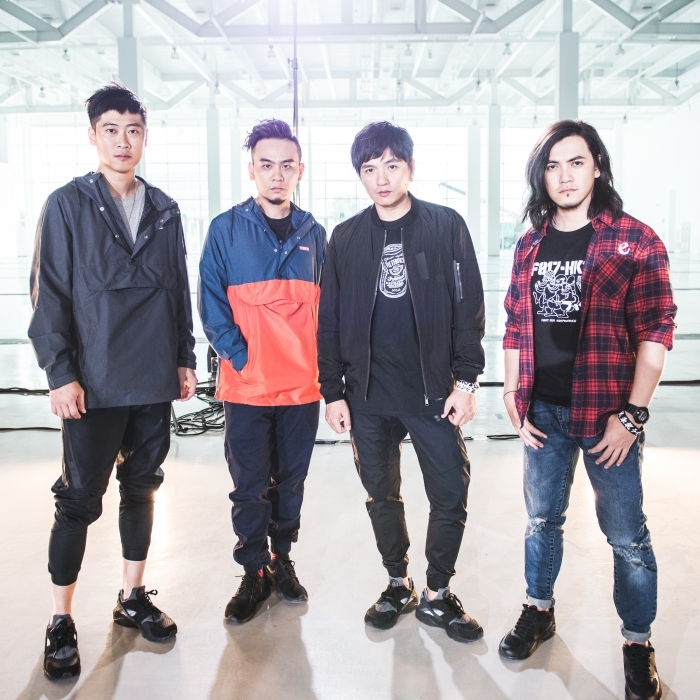 Formed in 1993, the main members of Quarterback include guitarist/band leader Hu Shen (虎神) and lead vocalist Spark Chen (陳如山). The band was nominated for “The Best Musical Group” at the Golden Melody Award in 2000, 2002 and 2004. In 2009, because of the leaving of the lead vocalist, the band decided to go on hiatus. 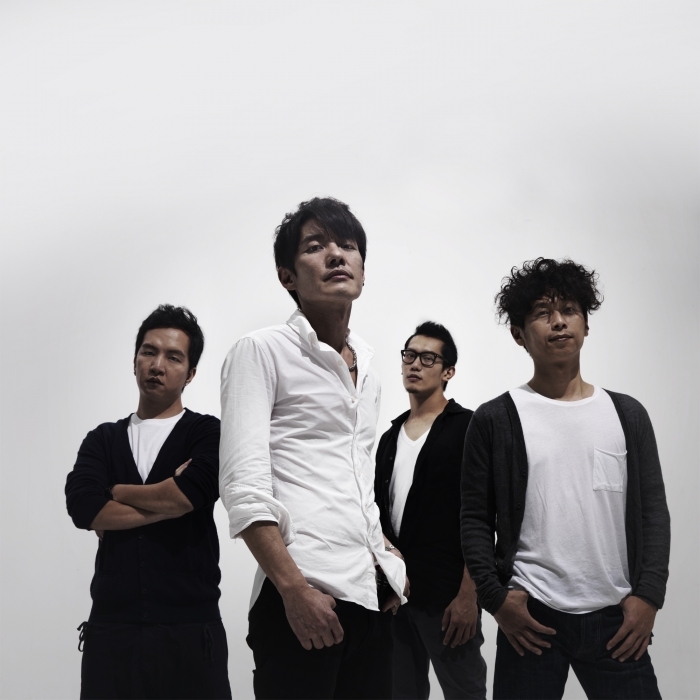 In 2012, Quarterback returned again and joined TOLAKU (脫拉庫) to tour together in Vladivostok in Russia, becoming the first Taiwanese band to stand on the stage in Vladivostok. The band’s music contained elements such as britpop and new wave in the 80s and their lyrics are mostly about growing up as a youth. The Chairman consists of 6 members. Formed in 1997, the members of the band were mostly experienced bandsmen. For the last 20 years, the band has been through member change and member’s decease. However, all these obstacles did not stop the band from playing music, they even take time to help guide the younger generation in the industry. The band’s songs are mostly about the life of Taiwanese folks. They sang in Hokkien and arranged their music with upbeat rock tempo and pop rock genres. They even added traditional Taiwanese folk culture elements into their most recent albums. Because of this ingenuity of reviving traditional culture, they started to receive international attention, becoming one of the most symbolic senior and experienced bands. Formed in 1995 in Taipei, ChthoniC is the most symbolic heavy metal band in Taiwan. They were awarded as the Best Musical Group at the Golden Melody Awards and the Golden Indie Music Awards before. The key members of the band include Doris, who is the leader and the bassist of the band; Freddy, the lead vocalist and Erhu player of the band. Most albums released by ChthoniC are concept albums. The band is fond of getting inspiration from Taiwanese traditional folklore or historical events. The band is also strong in their political position. The style of the band’s music has changed from blackened death metal in the early days to folk metal and symphonic metal. Finally, in order to distinguish themselves from the bands from Europe and U.S., ChthoniC classifies its genre as Eastern metal. 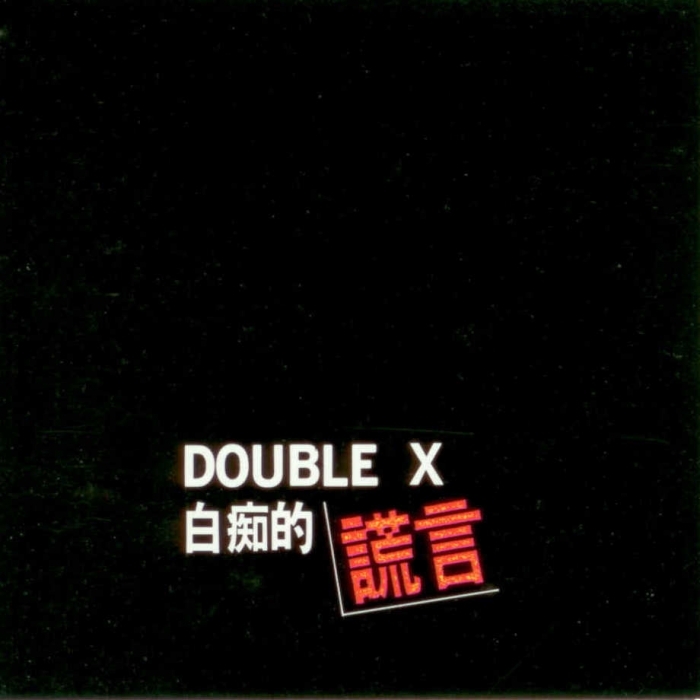 Double X is among the first generation punk bands Crystal Records released. Sissey Chao (趙一豪), the lead vocalist of the band, is capable of utilizing versatile voices and masked appearance as his performing styles. 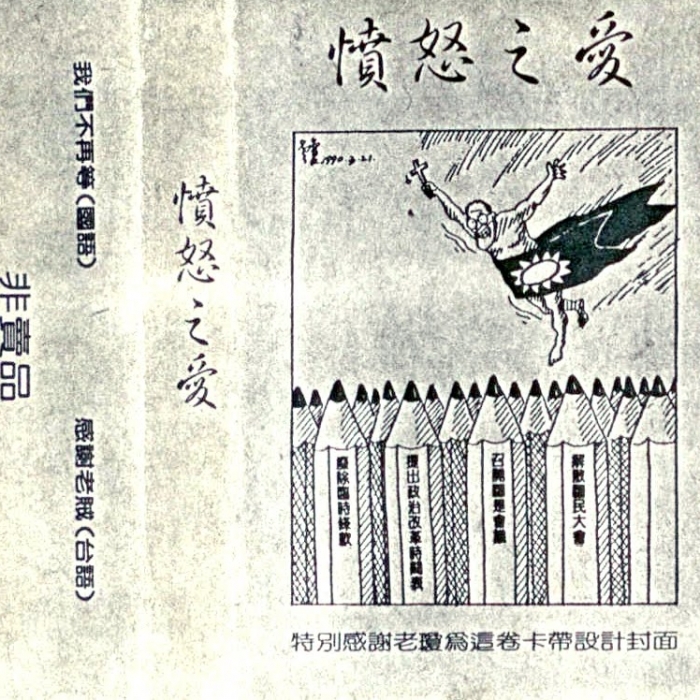 The band’s debut album White Lies (白痴的謊言) contained ironic materials against politicians, thus was banned by the government. Later, because of the constant member change of the band and the irreconcilable differences between members, the band finally broke apart. In 1990, Sissey released his solo album Pull Myself Out (把我自己掏出來). However, the album was accused of being profane so was later being banned. The genre of this album had changed from early punk to post punk and contained a bit of experimental electronic element. 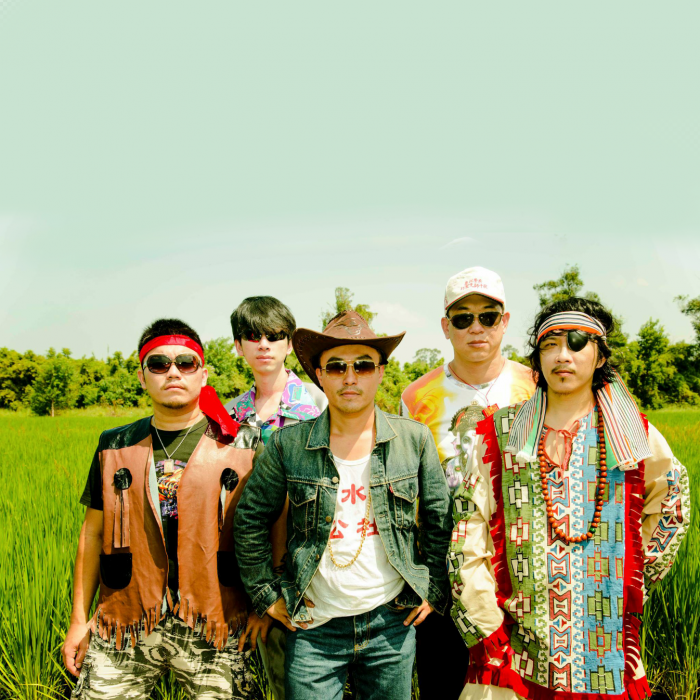 LTK Commune, also known as LTK, is a Taiwanese legendary indie band that formed in 1989 and is still active now. The early band members included Tsai Hai En (蔡海恩), Ke Jen Chien (柯仁堅), and Yin Wei Min (應蔚民). Tsai enjoyed putting his observation of the society into writings and performances, and together with Ke, they always expressed their absurdity and black humor through spoofs, attracting numerous fans. Yin later left the band and formed another band called The Clippers. Because the band had gone through frequent member change in its early stages, making its performance a bit unstable then. However, the usual ironic style and humorous stage performances have always been the most famous features of the band. 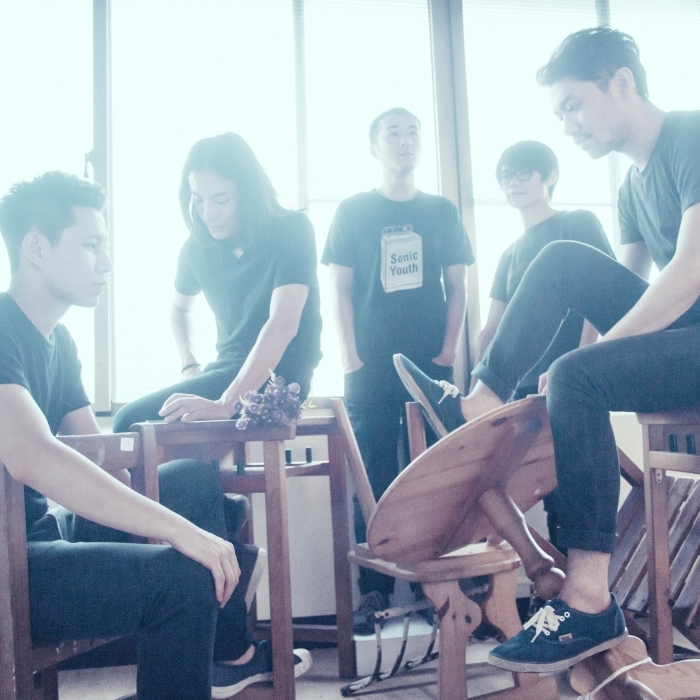 Sugar Plum Ferry is one of the symbolic post rock bands in Taiwan. Influenced by Mogwai and Explosions in the Sky in the early period, the band used two or three guitars to arrange their songs, creating epic spacious soundscapes. The band’s debut album Lack of Something (是不是少了什麼) received a lot of praises and became an instant classic. The sophomore album Thanks for Reminding Me (謝謝你提醒我) was still an instrumental album, capturing the soundscape of Taipei city. This album is quite famous in the international music industry. However, due to irreconcilable differences, the band broke up in the end. Though the band revived one time in 2014 by changing the band name to Shimmering Islands, it still didn’t last long and broke up the following year. The band’s former guitarist Insecteens (昆蟲白) formed another band called Tin Pan Alley (錫盤街), and the other members are currently associated with other bands as well. All the members are now independently active in indie music scene. Formed in 2000, Fire Ex. is a Hokkien punk band from Kaohsiung. The band was very active in central and southern Taiwan in its early days. In 2009, Fire Ex. was invited to CMJ music festival with Sugar Plum Ferry. In 2014, during the Sunflower Movement, the band quickly wrote a song called "Island’s Sunrise" in two days and recorded it in just one day to support the students. The song has later become the anthem for social movements, which is always sung by students or younger generation during protests. The style of the band is the combination of happy punk and elements of Hokkien songs. In 2017, the lead vocalist and guitarist Sam Yang (楊大正) established a rock music festival called FireBall Fest. (火球祭), winning warm praise from the audience. Formed in 2012, No Party For Cao Dong was named after the Cao Dong Street in Yang Ming Shan. The band sings from the perspective of losers, presenting the inner feeling of the younger generation now. In 2015, the band took campuses by storm and later gained huge popularity. The band plays post-punk, grunge, nu-disco and is influenced by Two Door Cinema Club. The band’s song “Mottos, Bygones (情歌)” resembles some lyrics of Beck’s song “Loser”, and the other song “Simon Says (大風吹)” genuinely reflects teenager bullying. The catchy, upbeat melody and the contradicted lyrics have quickly attracted numerous teenage fans.